Earth System Models (ESMs) aim to project global change. Central to this aim is the need to accurately model global carbon fluxes. Photosynthetic carbon dioxide assimilation by the terrestrial biosphere is the largest of these fluxes, and in many ESMs is represented by the Farquhar, von Caemmerer and Berry (FvCB) model of photosynthesis. The maximum rate of carboxylation by the enzyme Rubisco, commonly termed V c,max, is a key parameter in the FvCB model. 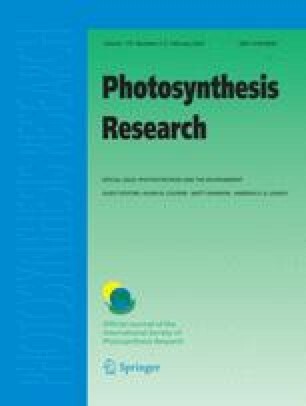 This study investigated the derivation of the values of V c,max used to represent different plant functional types (PFTs) in ESMs. Four methods for estimating V c,max were identified; (1) an empirical or (2) mechanistic relationship was used to relate V c,max to leaf N content, (3) V c,max was estimated using an approach based on the optimization of photosynthesis and respiration or (4) calibration of a user-defined V c,max to obtain a target model output. Despite representing the same PFTs, the land model components of ESMs were parameterized with a wide range of values for V c,max (−46 to +77 % of the PFT mean). In many cases, parameterization was based on limited data sets and poorly defined coefficients that were used to adjust model parameters and set PFT-specific values for V c,max. Examination of the models that linked leaf N mechanistically to V c,max identified potential changes to fixed parameters that collectively would decrease V c,max by 31 % in C3 plants and 11 % in C4 plants. Plant trait data bases are now available that offer an excellent opportunity for models to update PFT-specific parameters used to estimate V c,max. However, data for parameterizing some PFTs, particularly those in the Tropics and the Arctic are either highly variable or largely absent. The Author is grateful to Vivek Arora, Douglas Clark, Rosie Fischer, Jinjun Ji, David Kubien, Joe Melton, Jared Oyler, Steve Running, Khachik Sargsyan, Peter Thornton, and Weile Wang for sharing unpublished work, providing model parameters and useful discussion. The author is also grateful for the constructive criticism received from two anonymous reviewers. This study was supported by Laboratory Directed Research and Development funds at Brookhaven National Laboratory, by The Next-Generation Ecosystem Experiments (NGEE Arctic) project that is supported by the Office of Biological and Environmental Research in the Department of Energy, Office of Science, and through the United States Department of Energy contract No. DE-AC02-98CH10886 to Brookhaven National Laboratory.